Music is part of our everyday lives. From the moment you wake up to your morning commute, and throughout your day, it can inspire you, relax you, and set the tone for any event. So, it only makes sense to optimize your Rye, NY home for the ultimate sonic experience. SEE ALSO: Curious About Smart Home Technology? Seeing is Believing! When you think of interior design, you probably consider the way the couch looks with the drapes. And, maybe you think about the way the lighting emphasizes the areas of the room you love and downplays the ones you don’t. But one aspect of interior design that often goes overlooked is the way the room sounds. Thanks to discreetly-placed speakers in every room, you can add a whole new dimension to the design. With Control4, your entire library of digital music and streaming services like Tidal, Spotify, and Deezer lives right at your fingertips. Find your favorite song and play it throughout the entire property or build a different playlist for each room. From the foyer to the backyard, you can enjoy a unique soundscape in each space with simple controls and access to nearly limitless music. Whether you prefer interacting with your smartphone, Apple Watch, dedicated touch screen, or even by voice with Amazon Alexa, Control4 simplifies finding the music you love and playing it anywhere in your home. 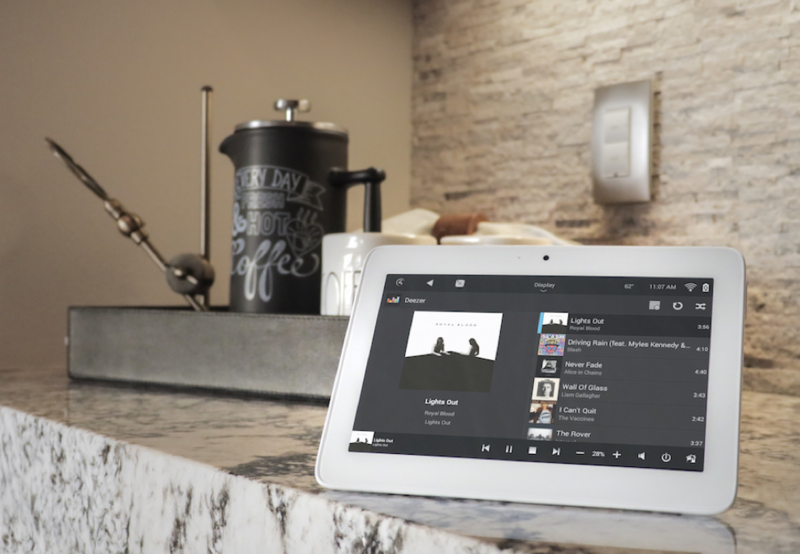 Featuring native integration of major streaming platforms, it’s easier than ever to get the most out of your entire home audio system with the touch of a button. Say “goodbye” to the days of opening multiple apps just to use the devices you love. Control4 consolidates command of each device in your system while providing valuable information and bold, full-color album artwork for each song you play. Built a playlist you love? Save it as part of a scene that includes settings for your lights, shades, thermostat, and video distribution system to recall it at a moment’s notice. Or start fresh with nearly limitless content libraries at your fingertips. Perfect for lazy Sunday afternoons, exciting Saturday night parties, and everything in between, a Control4 whole home audio system is the best way to enjoy your music, guaranteed. Want to see what it’s like to live a Control4 lifestyle? Stop by our Certified Showroom to get a hands-on experience with the latest integrated smart home technology. Click the button at the bottom of your screen to begin chatting with a Control4 Certified Professional and setup your appointment today!